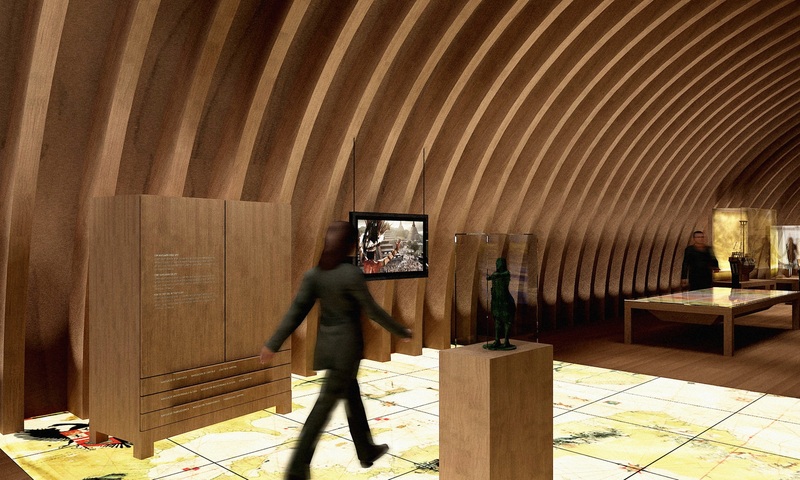 A museographic proposal to reorient the visitor experience and the collections, reconciling the objects on display with the architectural heritage of the building. The aim was to recreate the original atmosphere of the shipyards. 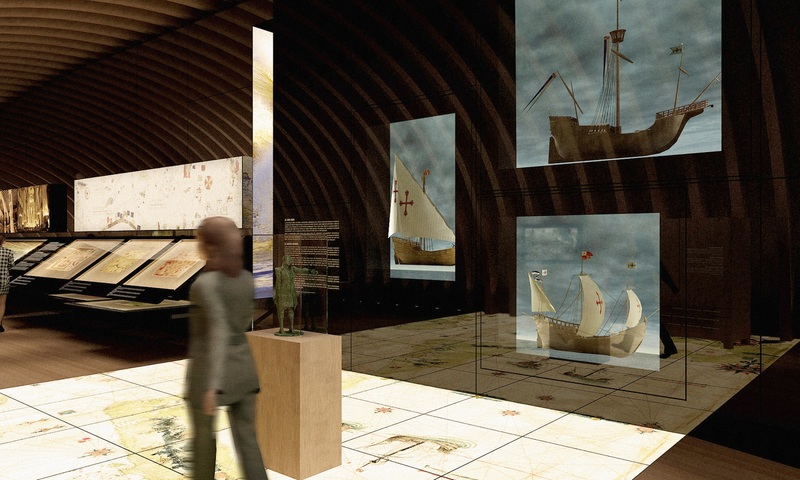 The project for the Barcelona Maritime Museum was a challenge in many ways, due to the scope of the subject it deals with, the importance of the building, and the fact that we were faced with developing the content of the entire exhibition, not just the design of the museography. Our proposal took second place among 25 submitted projects. The shipyard building is difficult to interpret today, since the direct relationship with the coastline it used to enjoy, necessary for floating the ships after their construction, has been lost. 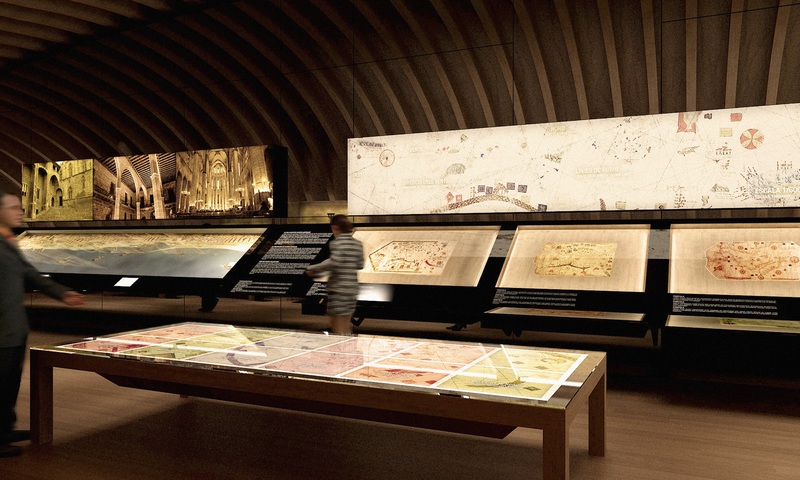 Our goal was to help visitors understand how the building worked by evoking its original environment. We used two strategies to that effect. First, we proposed the construction of huge light boxes that would reproduce the original landscape of the Barcelona coastline in two of the front windows. Secondly, we decided to replicate the inverted hulls of ships under construction, forming pavilions to house most of the projections, panels, display cases, and the objects with specific conservation requirements, so as not to obstruct the perception of the space. In this way we restored the history of the building, at least symbolically, and used dramatic resources that made the visit something experiential, more dynamic. The route began and ended in a large round hall, 26 meters in diameter. This space is dedicated to the main character of our narrative: the sea. 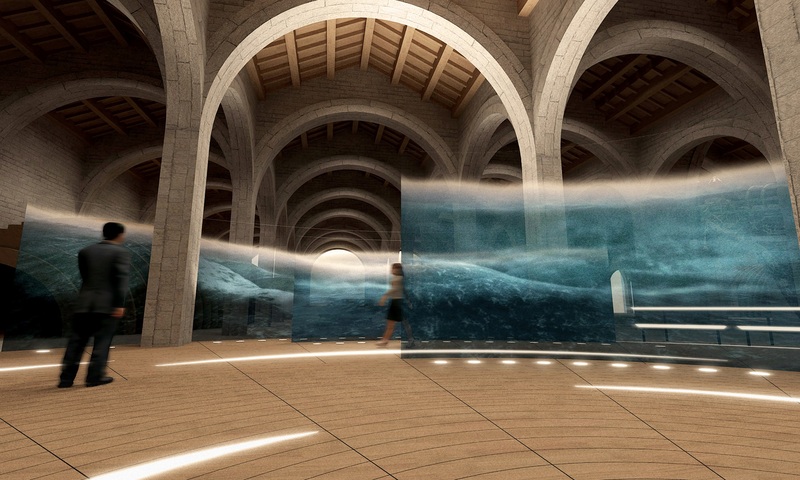 It displays quotes from writers about the sea, projections using special technology that present the different sea states, and interactive consultation stations that allow visitors to access the collection or register their opinion of the museum. The first area is devoted to the struggle for hegemony over the Mediterranean. 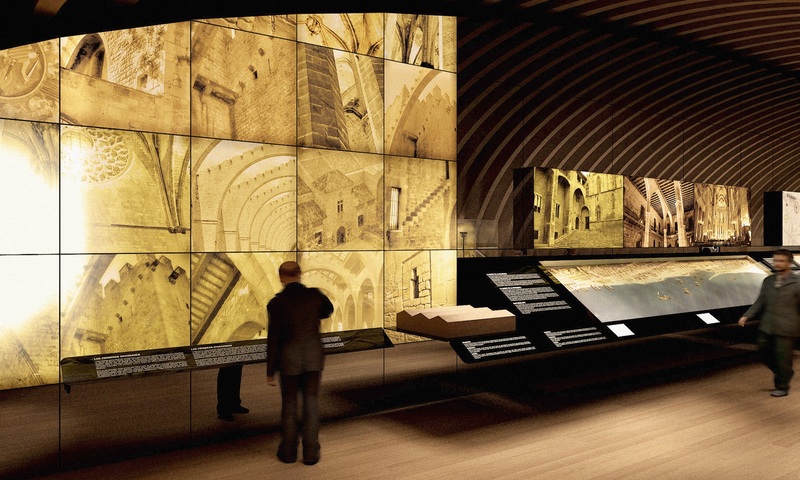 Area 2 is dedicated to the interpretation of the Joan d'Àustria galley (the largest piece in the museum), which includes a 3D projection representing a battle. 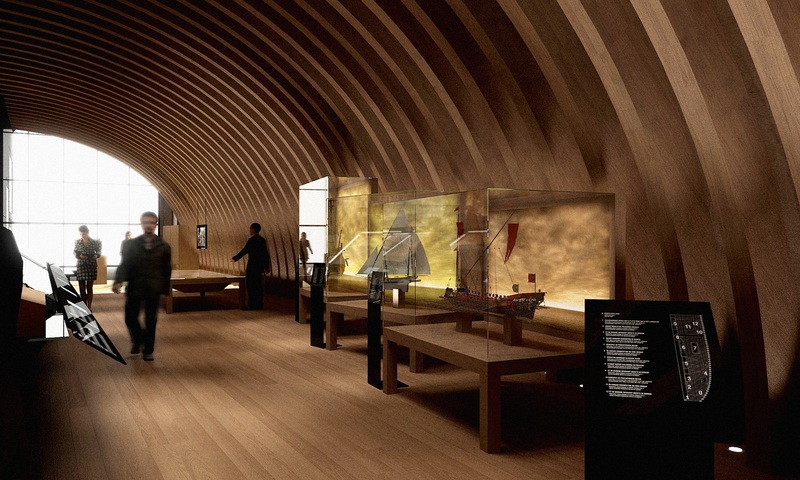 Area 3 focuses on navigation and shipbuilding, a quieter space with interactive exhibits and a resting zone. Area 4 explains the appearance of new technologies such as steam, and area 5 is dedicated to the coastline and the transformations of Barcelona’s seafront. 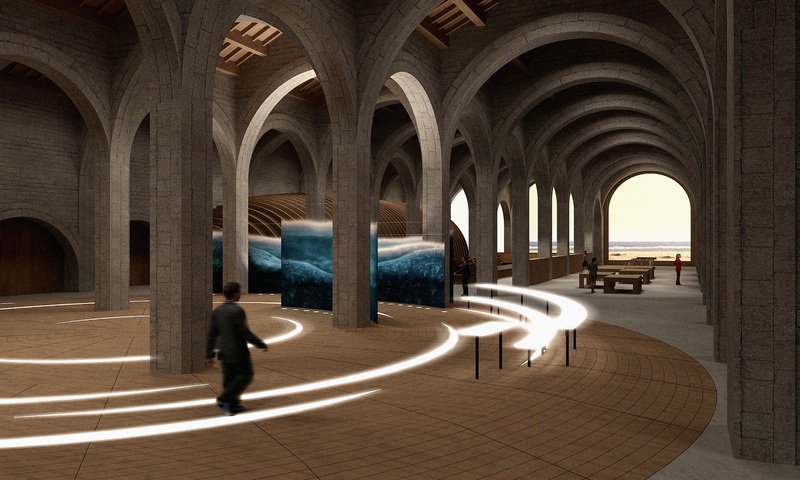 Finally, there is a space dedicated to the present, through interactive screens and sound domes that provide testimonies from people who currently work in professions related to the sea. 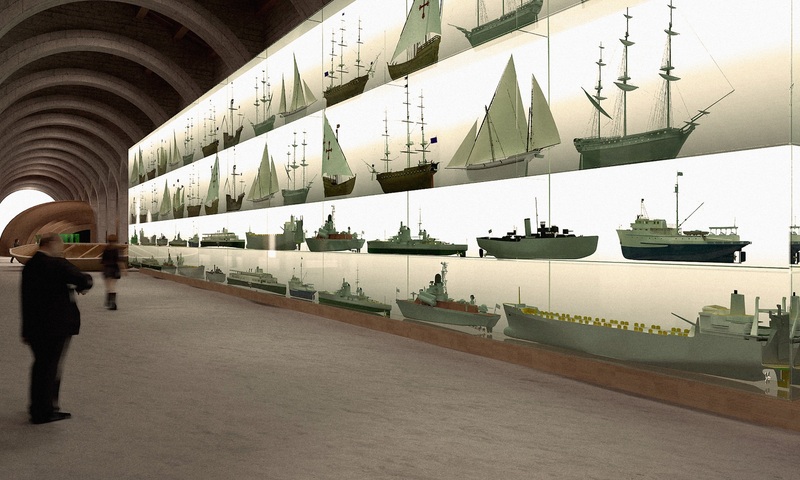 In addition to this circuit, we proposed a network of multipurpose and didactic spaces that would accommodate all the special events and group activities that take place in the museum, so that they do not interfere with visits but can still be carried out among the boats and original pieces. In the façade area, we proposed the scenographic recreation of a ship so that the public can do what is impossible in the rest of the museum for conservation reasons: climb onto the ship and learn how it works. 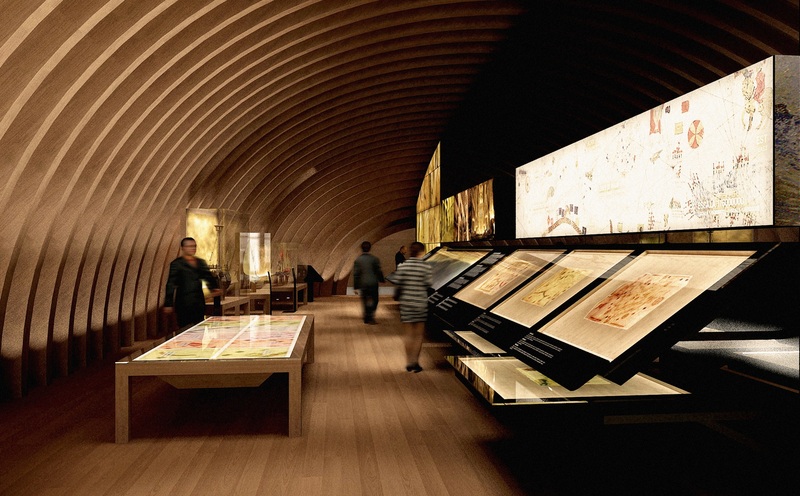 We also proposed including the restaurant in the museum concept, as a gastronomic interpretation centre, and the development of a mobile application that can act as an audio guide.